Most of us stay within the borders of our home countries most of the time. International excursions are somewhat rare, and once we’re back home, we’re unlikely to fly out of national airspace anytime soon. This is the way life has been forever, but a variety of factors are starting to change things. International flight costs, long the biggest financial impediment to overseas travel, are starting to become a lot cheaper in many important markets. Today, it’s possible to fly to many places in Europe for about $100. For many Americans, this brings an excursion to the Old World to the cost level that a trip to Disney World was a generation ago. Various other political and social factors have simultaneously made it simpler for people of means to travel overseas, and to stay put. The expatriate community is growing all around the world. And despite recent turbulence related to immigration, migrant populations are simultaneously on the rise. Because there is no fine line between an “expat” and an “immigrant”, there are common difficulties which impede both of their progress. One of the chief among them is the cost of transferring money overseas. Fast transfer of funds from one nation to another has long been possible. But it has not been affordable or reliable. A couple of old-wave transfer companies still exist, and still use networks and marketing practices developed in the days of the Telegraph! There are plenty of things to complain about with these old models, but we won’t waste any time here doing that. Suffice to say, the old companies are difficult and expensive to use. New companies tend to transfer funds a lot better, and cheaper. One such example is FairFX. Though one of the newer currency transfer companies, they have modeled affordability and efficiency. That’s good news all on its own, but there are plenty of these companies emerging, particularly out of England and greater Europe. British financial regulation legislation makes it easy for competition to thrive in this industry, and this is benefiting consumers of all stripes. No matter who you are, there is a currency transfer company out there which is made to serve you perfectly. For people transferring large sums of money for property, education, or investment, there are new companies which waive fees entirely for these amounts. 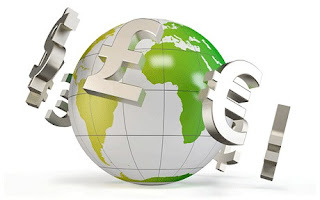 For people who need to make regular small payments, there are companies which offer tiny fees for each, making their money instead on slightly larger exchange rates. There are transfer companies which do all of their business over the phone, some which operate primarily on the web, and others which do everything through clicks on a single smartphone app. What’s more, because so many of these companies are emerging now, it means that there is competition to drive down costs, and drive up performance, for a diverse array of customers all the world ‘round. So if you need to transfer funds overseas for any reason, why not take advantage of this new wave of transfer companies for people just like you?